Are Black women doubly disadvantaged in the European workplace? A unique study about the experiences of Black and ethnic minority women at work, ‘Different Women, Different Places’, reveals what women of colour really think. 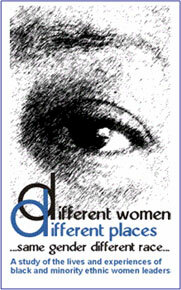 ‘Different Women, Different Places’ evolved from the discussions and experiences of a small network of successful women and the realisation that they were not just women or just black but women with multiple identities that were inextricably inter-linked. What also emerged, however, was that being a Black or Asian woman meant different things to different people. Intent on finding more information about the experiences of women of colour in Europe, Caroline Harper Jantuah, Director of The Diversity Practice, formed a study group with two other professional women. The goal was to move beyond previous studies that focused on problems and barriers faced by Black Women. Black Women – Doubly Disadvantaged? The ‘Different Women’ study is a partnership between The Diversity Practice and Katalytik, two UK-based organisations committed to equality and the celebration of diversity in the work place. Carol Compayne is the Equality & Diversity Manager for London South Bank University and a Principal Lecturer in Strategic Management, and Marketing while Jan Peters is a leading authority on women and science. The study gathered information, through the career histories of black and minority ethnic women, of visible difference, from across Europe and also used an on-line questionnaire, face to face interviews and discussion dinners to focus on emerging topics. Dinners, sponsored by investment banking group, Credit Suisse, were held from late 2006 to January 2007. Forty-two women took part and the essence of the first dinner - the issues raised, the atmosphere and the energy were captured by ethnographers and graphic recorders. A range of themes were explored at the dinners including individual success strategies and the notion of 'double disadvantage' and organisational style and culture as barriers to career progression for BME women. Also explored were the leadership styles of BME women and how they differ from their white counterparts, and participants debated the ideal workplace for BME women and what they considered the added value characteristics of BME women. More than half of the respondents are at levels 1 and 2 in their organisations, in other words hold positions akin to director, partner or senior executive (level 1) or manager, senior associate or principal scientist (level 2) category. This refers to one's stage of leadership development (courtesy of the League of Black Women). 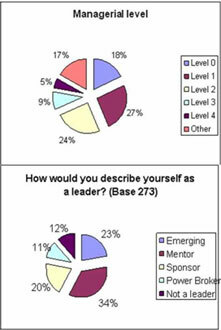 Survey respondents identified themselves predominantly as in the mentor leadership category followed by that of emerging leader. 41% of survey respondents spent the whole of their educational period in Europe and 19% came at a later stage for their University education. The women were asked about how satisfied they were with their careers to date - satisfaction levels are high! 25% were very satisfied, 50% were satisfied. This is less to do with the support of their organisations and more to do with the progress they have made in spite of the challenges many of them have faced along the way. While family was seen as an important influence on career and career choice by 57% of respondents, only 12% felt a strong influence from teachers. In fact 54% refuted that their teachers had any influence on their career. 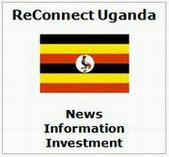 Data analysis of the findings and the drafting of the report have been completed and dissemination of the findings will commence during December 2007. Fundraising activities are underway to promote the work of the project. 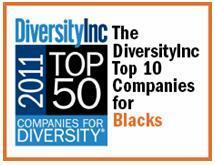 We take a look at the US companies that made the DiversityInc. Top 10 for recruitment, retention and promotion of Black employees. Now in its 11th year, The DiversityInc Top 50 Companies for Diversity list began in 2001 when many corporations were beginning to understand the business value of diversity-management initiatives. Today, the DiversityInc Top 50 Companies for Diversity® is the leading assessment of diversity management in corporate America and globally. The DiversityInc Top 50 list is derived exclusively from corporate survey submissions and participation in the survey has increased dramatically, up 19 percent in 2011 to 535 companies. Companies are evaluated within the context of their own industries, with more than 15 industries represented. 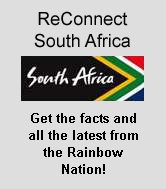 Subsets of the same data submission are used to determine the organisation’s other lists, including the DiversityInc Top 50 Companies for Blacks. As demonstrated by its support of Project Aspire, which aims to stem the dropout rate of low-income students, many of whom are Black, AT&T is a long-time leader in supporting the current and future workforce. A staggering 59 percent of its philanthropy is aimed at multicultural organizations. AT&T's community support is also evidenced by its strong supplier-diversity program, with 10.5 percent of Tier I procurement spent with minority-owned business enterprises (MBEs). The healthcare organization is a clear leader in workforce diversity and talent development. For Blacks, particularly, its demographics are strong overall, including at the top. Its board of directors is 21.4 percent Black. 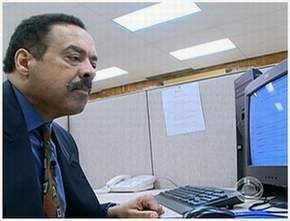 Thirteen percent of its workers are members of its Black employee-resource group. No. 4: Northrop Grumman Corp. The defence contractor is one of the few companies whose promotions of Blacks into first-line management positions equals the percentage of Blacks in the workforce, a telling ratio for talent development. Fifty-one percent of its philanthropy goes to multicultural organizations, including the Martin Luther King Memorial, Great Minds in STEM and the Jackie Robinson Foundation. The utility company has strong workforce and management representation of Blacks as well as a long history of community philanthropy, including the National Center for Civil and Human Rights, the UNCF, the NAACP, the National Black Arts Festival, and many local scholarship programs benefiting Black students. Sodexo clearly has an inclusive culture that enables Black employees to be promoted and realize their potential. The company's board of directors is 37.5 percent Black. Sodexo excels at mentoring and talent-development programs for everyone, but especially for Blacks and other traditionally underrepresented groups. Altria has strong demographics for Blacks in its workforce and shows real improvement at the management level. Its philanthropic efforts include the Boys and Girls Clubs of America, UNCF, Thurgood Marshall College Fund, and numerous scholarships. No. 10: The Coca-Cola Co.
A decade after settling the largest racial-discrimination lawsuit in corporate U.S. history, the beverage giant has emerged as a workplace diversity leader, especially for Blacks. The rate of Blacks promoted into their first management job was almost double the current management representation of Blacks, and there is strong representation of Blacks at every management level. 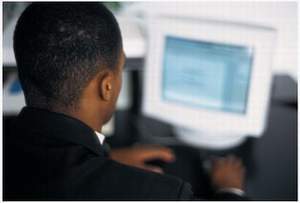 In addition, one-third of U.S. employees are members of the Black employee-resource group, the company reports. Negative perceptions about older workers are declining and there is widespread recognition of the value that they can bring to the workplace long beyond traditional retirement ages, says a recent report. As the UK default retirement age starts to be phased out, leading to increased levels of older workers, a new report by the UK Chartered Institute of Personnel and Development (CIPD) calls on employers to prepare for these workplace demographic changes. A combination of anti-ageism legislation and more older work colleagues appear to have shifted attitudes on the part of employers. According to 'Managing an Ageing workforce', a research report by the CIPD and the Chartered Management Institute (CMI), 93% of the managers who responded to a questionnaire agreed that the knowledge and skills of older workers were very valuable. Most said they had removed age from application forms and 91% offer training regardless of age. When asked whether their organisations were well prepared to cope with an ageing workforce, however, the managers gave a massive vote of no confidence, with only 14% agreeing that their organisations were ready. And only a third said the issue received board-level recognition. The report suggests that employers now need to adopt more sophisticated age management policies. These include age and skills profiling, improved performance management with better training for line managers, a more strategic approach to retirement and more involvement at board level. 93% of the managers who responded to a questionnaire agreed that the knowledge and skills of older workers were very valuable. Patrick Woodman, Policy and Research manager at the CMI, which represents the general managers who took part in the research, commented: “The big debate out there is about how to handle and manage older workers. There’s a real challenge and tension about this and 89% said there was no training in their organisation for managing older workers. But it’s not really different to managing anyone else. The ten case studies included in the research show that the way in which organisations manage the ageing workforce depends partly on their type of business. For some companies, like RJD Technology, because the special skills they require can take years to build, staff members can work well into their seventies. For others, such as Hutchison Ports, the nature of the work may be physically very demanding with a high degree of risk, making it more difficult for older employees to physically perform certain tasks and therefore continue working. In some cases, however, the company uses retired workers to provide holiday cover for roles needing inside knowledge and other employees have worked on past retirement age, including a 72-year-old former engineering manager who works part-time in the procurement department. Other case studies demonstrate a wide range of approaches to older workers, from age auditing and retirement planning at the Magnox nuclear reprocessor, to flexible working and a senior officer to champion age diversity at Dyfed-Powys Police. According to the CIPD, the reality is that there will be more grey hairs in the workforce of the future, so all organisations need to build age management into their strategic plans. 1,033 responses were received from junior, middle and senior managers, directors and HR specialists. 42% backed removal of the default retirement age (DRA); 18% wanted to raise it; 35% to retain it. 57% had a retirement age of 65, 19% had a normal retirement age below 65 and 16 per cent no fixed retirement age – roughly the same as in a similar survey in 2005. 47% thought the DRA had brought no change, while 36% thought more employees now stayed on past 65. 51% said their organisation was reviewing its policy or had done so since 2005. 43% did not know what their organisation had done. 40% thought their retirement process needed to be reviewed, 59% thought it worked well for the organisation and 55% thought it worked well for the retiree. Of those with no fixed retirement age, 68% said it worked well for the retiree. Ethnic minorities living and working in Britain consider professions including banking, politics, law and journalism, as closed off to them. The Race for Opportunity report Aspiration and Frustration is an in-depth survey of the attitudes of 1,500 people from all the main ethnic groups living in the UK, including white Britons. It investigates how different ethnic groups view their prospects of employment and promotion and reveals shockingly that racism is still prevalent in the workplace. The report shows that despite ethnic minorities having a strong work ethic and high career aspirations, more so than white Britons, many rule out careers in the professions because of perceptions of racism. The objective of the survey was to find out how certain industries in the UK are perceived by Black, Asian and minority ethnic (BAME) people. In so doing, it sought respondent opinions on eight professions which included those seen as the best paid in the country and others that have high status or profile within the community. A total of 1,500 people were interviewed for the survey and responded to questions about their opinions and aspirations for careers in the following sectors: Politics, Armed Forces, Police, Medicine, Banking/finance, Legal/law, Education, Media (incl. PR, journalism). (The survey) sought respondent opinions on eight professions which included those seen as the best paid in the country and others that have high status or profile within the community. In terms of participants, the largest group was Indian (15%) followed by white British, white mixed race and Pakistani each 14%, and Black Caribbean/Other Black at 13%. Among the key findings from the report was evidence that despite high levels of aspiration among ethnic minorities, a majority sees many of the key professions – especially those that offer the potential for the highest salaries – as being closed off to them. It was also clear from the respondents that employers with an historic reputation for racism are still seen as unwelcoming to ethnic minorities. The police, despite considerable effort spent wooing ethnic minorities, is still regarded as deeply racist: close to half of all respondents, including white Britons, subscribe to this view, rising to 72% for Black Caribbeans. Despite a strong desire from ethnic minorities, there are few role models in the key professions, which may explain the negative image they appear to have. The survey responses highlighted that blatant racism is still far too prevalent in the workplace. While only a minority has suffered it, for those who have, the pattern of behaviour can be highly offensive and at worst seems unchanged from the 1970s. The report's authors have set out a number of recommendations to policy makers, educators and employers, including an appeal to the new UK coalition Government to clearly demonstrate its commitment to tear down the barriers of social mobility set out within its coalition document programme for government ‘Freedom Fairness Responsibility' by ensuring a focus on race. Recommendations also include that the range of measures the UK government plans to introduce to end discrimination at work, including promoting equal pay, takes full account of race as well as gender. Government is also urged to extend its commitment to promote gender equality on boards of listed companies to also include race diversity, and to widely promote its plans for providing internships for BAME people in every Whitehall department as a practice to be followed by private sector employers. The report's authors also recommend that school curricula include courses that will assist entry into the professions, particularly careers such as Law, Accountancy and Banking where BAME students are under-represented. Schools, colleges and universities are urged to must make sure that students see these careers as viable opportunities. In particular, these institutions should widen career support networks to include the professions; train careers officers in cultural awareness and ensure that they work towards meeting the aspirations of BAME people instead of pigeon-holing them into stereotypically "ethnic" jobs; and work with employers to bring BAME role models to school, college and university careers events. Employers within the main professions need to look at why they currently risk putting off potential BAME candidates from seeking a career with them, the report concludes. They should work together to agree a common approach to promoting access to industry sectors, ensuring BAME talent is not lost; utilising mentoring programmes and activities. Employers should also commit to producing diverse shortlists for vacancies, particularly in those sectors that this report has shown are seen as off limits, uninviting or unsupportive. Employers are encouraged to make it clear in their recruitment materials that they welcome candidates from BAME backgrounds and ensure that there are no issues that present "invisible" barriers to minorities, while senior leaders are urged to promote mentoring within their organisations through personal example and encouraging employees to participate in mentoring activities within their workplaces and communities. Employers can assist by encouraging more experienced BAME employees to join networks such as Business in the Community's MERLIN (Minority Ethnic Role Models for Learning and Inspiration) mentoring and role model program for young people. "The challenge is to ensure that for ethnic minority candidates the door to the city law firm is as open as the call centre, and that being a public leader is as normal as sitting behind a supermarket till," says Sandra Kerr, National Campaign Director, Race for Opportunity. The study showed that no profession was seen as devoid of racism. Similarly, over a fifth of Black Caribbeans consider the media and legal industries to be either subtly or overtly racist. Worryingly, more than a quarter cited politics as another problem area, rising to 30% when white respondents were excluded and 39% for the Black Caribbean group. "The results from the survey show there is still much work to be done," says Sandra Kerr. "The results are a call to action for politicians, employers and educators to look harder at how they can ensure that these professions are seen as truly equal opportunity employers." "Cultural differences can become major stumbling blocks when negotiating with someone from another culture," says cultural management expert, Richard Cook. Cultural differences can become major stumbling blocks in three different ways. First of all, different cultures have different understandings of what a commitment represents. There are basic differences from one country to another in the conceptions of what you get for what you give. These fundamental differences do not necessarily affect the negotiation process itself, but often lead to lousy outcomes and ultimately to litigation. One side tends to feel cheated as the other side feels that it is asked to hold to a commitment it never made. Secondly, cultural differences can intervene in the negotiation process itself in terms of cultural faux pas. The wrong joke leaves the other side mortally offended; the middleman being squeezed out jams the process, the bribery bid starts a row on morals and professionalism and leads to fundamental distrust. What is "normal" at home can be repulsive abroad and vice versa. Is a verbal agreement binding? And so on. When there is unshakeable good will and strong interests linking both parties, they mostly manage to iron out these irritating episodes, but in difficult negotiations, such incidents can lead to a total breakdown in communication. Finally, we find that cultural differences can be deliberately used as negotiating tactics by one or both sides of the negotiation. Fundamental Misunderstandings with Regardsto "the deal"
This is probably the gravest cultural misunderstanding (in terms of outcome) and the most difficult to deal with. Ultimately, negotiation is about striking deals. Deals are about commitment: the agreement you reach now will be followed by future actions. The nature and the extent of these actions are deeply culturally determined. Written contracts should to some extent specify these obligations, but even the practice of contracts is culturally determined, dependent on whose legal system you are taking into account and so forth. Commitment can be likened to a "feeling of obligation" towards the other party. The extent of this obligation can vary widely from one country to the next. Q. 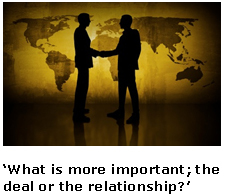 What is more important to them: the deal or the relationship? If we can indulge in a generalisation, we can say that Anglo cultures tend to focus on the deal, and changing conditions can render the deal invalid (sorry, old chap, I'm sure you'll understand) whereas other cultures put greater stress on the obligations of the relationship. Q. Do they differentiate between professional role and private person? The very clear distinction we find in most northern European cultures between 'professional' and 'private' tends to get blurred in Latin cultures. Commitment and obligation tends then to be towards the person rather than the role. This can be surprising, as business partners may think it perfectly acceptable to ask for personal favours in a professional context. This might put the other party in an embarrassing situation since his or her company might consider personal favours as a form of bribery and therefore unacceptable. Conversely, one may be offended by a point blank refusal to a perfectly "normal" request (Would you hire the son of this good friend, I owe him a favour), and this can also lead to a breakdown in the relationship. Q. What is their attitude towards rules and contracts? Are contracts binding or only indicative? Are rules respected or generally ignored? Different cultures give different emphasis to written rules and contracts (as opposed to personal obligation or necessity). In some cultures, particularly from Germanic influence, a rule is rarely fixed. For others, it is there as a basis for improvisation. The way cultures look at rules tends to influence their understanding of contracts and commitments. Latins are not necessarily more emotional; they just talk louder, make wider gestures and use more facial expressions. It just so happens that if a northern European were to start talking loudly, making wild gestures and grimacing we could quite safely assume that this person was getting emotional. These different behaviours have no meaning themselves - they only mean something relatively to the cultural norm. 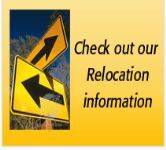 This makes it particularly difficult for the negotiator abroad because out of his or her cultural context most "signs" he or she will give away are bound to be misinterpreted. There is nothing to do about it, except knowing it and being careful in a specific situation. The key thing is not to offend the locals, so we need to look out for signs of puzzlement and distress in our hosts, and simply stop whatever we are doing or saying and wait for them to recover their balance. The cultural faux pas only endangers the negotiation process if it is pursued relentlessly. People will allow a certain margin of doubt for "foreigners" but this margin need not be too wide. Being offensive once or twice "by accident" is no problem, or even the occasion for a establishing some companionship - but being continuously offensive is bound to affect the negotiation. To some extent it is wise to do less rather than more - even at the risk of being considered a "coldfish". Some cultures, such as the traditional British culture, are naturally at an advantage because their usual restraint at home gives them less occasion to offend abroad. One might find them a bit cold and withdrawn, even maybe arrogant, but seldom outrightly abrasive - which is what ultimately is going to cause a real problem. © 2009 Global Excellence Ltd, All rights reserved. The Protocol to the African Charter on Human and Peoples’ Rights on the Rights of Women in Africa came into force on November 25, the International Day Against Violence Against Women and 30 days after the government of Togo became the 15th country to ratify it. The Protocol, adopted for ratification by the African Union in July 2003, establishes essential rights for women and girls across the continent and offers a series of advances in international law in the protection and promotion of women’s rights. The Protocol has been welcomed by women’s rights activists as a sign of positive change for women in the continent and 15 countries including Benin, The Gambia, Lesotho, Libya, Rwanda and South Africa have ratified the Protocol, with 38 states in the African Union yet to do so. The UK Chartered Institute of Personnel and Development has revealed the first findings of a survey carried out to assess the state of diversity in the UK workplace. A more detailed report will be published later this year after closer analysis of the survey responses. Other research indicates that the working age population in the UK will increase by a million in the next ten years and that minority ethnic communities will account for more than half of that increase. The business case for promoting and implementing a diverse workforce is clear, both in terms of accessing a wider pool of labour and in recognition that a diverse workforce is more likely to attract a wider customer base. Allied to this is the growing evidence that companies which are perceived as ethically and socially responsible are more likely to attract and retain top talent. Promoting the employer brand as one that is socially responsible is, therefore, key to a company’s ability to differentiate itself in an increasingly competitive marketplace. The CIPD survey was carried out in the first quarter of 2006 and has produced important statistical information that shows what the drivers for diversity are, the kinds of policies and practices that organisations have developed and how well these are working. Managing diversity involves recognizing all types of difference and, says the CIPD, involves “a more proactive and inclusive agenda than minimal compliance with equal opportunities legislation.” It requires employers to adopt strategic and coherent approaches that add value to business. Since the first equality legislation was introduced in the UK in the 1970s, initially covering race and gender, a wide range of further regulation on subjects such as equal pay, disability, religion and sexual orientation has followed, with age regulation in employment and training to be introduced in October 2006. Legal compliance is by far the strongest motivator for progressing diversity, with almost one-third of respondents ranking ‘legal pressure’ as the most important reason for making progress. Most respondents fail to consider the different ways in which diversity can add value to business, even though 60% recognise that diversity makes business sense. Respondents simply focus on the contribution of diversity to the bottom line predominantly in terms of recruiting and retaining best talent. Although respondents believe that senior-level ownership is very important, less than half agree that senior management encourages diversity. Diversity has so far been linked to and addressed through Human Resources policies and practices, indicating that the business of managing diversity is still far from being considered as a mainstream business issue in corporate Britain. A recent study revealed that 17% of businesses polled cited the key driver for diversity in their organisation was that it makes business sense. 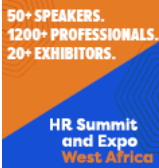 ReConnect Africa asked leading Diversity expert, Fitzroy Andrew, what we really mean by diversity and as increasing numbers of Africans find employment in the West, how far are UK employers going in opening their organisations to diverse sources of talent? The same study (see ‘The Business of Diversity’) also revealed that the need to conform to the law was perhaps more significant than the notion of business sense, with 32% of respondents citing this as the key driver for diversity. This gives a clue to what 'diversity' is often taken to mean in the UK's labour market in current times, referring to the range of policies and practices used by organisations across sectors to tackle discrimination in employment. And it's probably true to say that Africans are employed in unprecedented numbers in the UK today – partly because there are more of us here. More importantly, the range and nature of roles we are employed in has expanded greatly over the last thirty years. The numbers emerging at senior levels are small as yet, and largely confined to public services – no FTSE 100 company has a black person in an executive role on their board. It will be interesting to see whether this position persists over the next decade – though it is equally pertinent to ask why so few have emerged already. So will 'diversity' lead business to open its doors to the widest range of talent in the community? To some degree, it will have little choice if it wishes to recruit at all over the next decade – people who are not white or 'British' will form one of the fastest-growing segments of the labour force over the next decade. As important, however, are questions about the level and speed of progression, and here it needs to be acknowledged that legislation can only go so far in creating a level playing field in employment. So far as the employment of black people is concerned, there is still much to do before 'equality' could be said to exist. We remain under-employed; in the worst cases, our very presence is still seen as threatening. The whole business of finding and developing talent rests on people making judgements about other people and their capabilities. The emergence of black people in British boardrooms will be a critical test of whether diversity will have been seen to deliver in practice. It will show that British business believes that we have what it takes to succeed at the highest levels. I believe that we have missed out on a potential generation of business leaders in our community; I hope that we do not miss another. Personally, I'll be happy when we reach a point where we no longer regard the presence of Africans in the boardroom as unusual. Maybe it'll happen sooner than we think, or maybe it won't. Time will tell. Fitzroy Andrew is a Trustee of The Wainwright Trust, established in 1987 as an educational and research charity to commemorate and continue the work of David Wainwright, a pioneer in the field of workplace equal opportunities. Fitzroy writes here in a personal capacity. The hunt is on for the next unsung hero or heroine of equality in the workplace. Equality and diversity charity, the Wainwright Trust has been presenting a Breakthrough Award since 1999 and is now calling for nominations for the 2007 Award, with a closing date of 30 November 2006. The Breakthrough Award, initiated in 1999, was created to reward those unsung equality champions, whose personal efforts have had a real impact on equal opportunities in the workplace. The Wainwright Trust, whose members include personnel and training practitioners, trade union officials and management consultants, was established in 1987 as an educational and research charity to commemorate and continue the work of David Wainwright, a pioneer in the field of workplace equal opportunities, who died that year. Nominees might be law centre workers, trade union officials, individual employees or managers. They could be personnel, HR, equality and diversity managers, although, where equal opportunities is part of their ‘day job’, they would be expected to have gone way ‘over and above the call of duty’ and obtained seriously spectacular results. In short, the Trust is looking for unsung heroes and heroines, who have worked with dedication but without public recognition to further diversity and equal opportunities in the workplace. As well as putting forward nominees, individuals can also nominate themselves. The award itself consists of a cheque for £1,000 and a trophy designed by celebrated sculptor and jeweller Andrew Logan, whose work is exhibited all over the world. Past winners through open competition have been a manager from Barclays Technology Services, a trade union official from Amicus (then MSF) and the lawyer who worked with her, a worker in a Bristol project to help ethnic minorities into work, a Welsh civil servant who got a gay helpline going and a woman who helped black and ethnic minority nurses to advance in the National Health Service. The Trust has also made special awards to two ‘backroom’ workers whom it judged to have made huge contributions to equality in the workplace, but whose names were not well-known outside the world of equality and diversity practitioners and, this year, to the ex-Ford sewing machinists and their T&G convenor whose ultimately successful struggle for equal pay was a precursor to the Equal Pay Act. These winners are typical of the kinds of people that the Trust hopes to seek out for the 2007 Award. They need to have made a major contribution to furthering any aspect of equality and diversity in the workplace in the United Kingdom (gender, race, age, disability, religion, sexual orientation etc), and that contribution needs to have come to fruition in the last three years. The Trustees will be particularly looking for effort, tenacity and commitment, taking into account factors such as the resources available, the duration of the commitment and the obstacles and resistance which had to be overcome. A new study is launched on the lives and professional experiences of black and minority ethnic women working in Europe in 2006. “What little research there is about black and minority ethnic women in the workplace tends to focus on the barriers and challenges we face. Yet we believe there is much to be learnt from the career experiences of those BME women who have been successful at breaking through what is sometimes called ‘the concrete ceiling’,” says Caroline Harper Jantuah, a UK-based Diversity specialist and one of the research team behind a fascinating new study into the careers of senior Black and Minority Ethnic women in Europe. ‘Different Women, Different Places’ aims to gather primary data to explore the perspective of black and minority ethnic women working in Europe today. By gaining an insight into their lives and examining the influences of family, friends and colleagues, the researchers seek to explore and understand what motivates and drives these women in the workplace and what if anything constrains their success and progression. In addition it will examine what resources external to these they draw on – or borrow – what influences them; and what else needs to be in place to enable them to realise their full potential. Harper Jantuah, who runs a successful Diversity consultancy, Diversity Practice Ltd, holds an MBA and is a master practitioner in Neuro-Linguistic Programming (NLP). She has 20 years experience of working with teams and individuals in Europe, North America and Africa and reflects the profile of many successful working women in the UK and across Europe. Increasingly her portfolio has included work with Women and Black and Ethnic Minority professionals seeking to enhance their success in their chosen careers. The output from the research which is being handled by Harper Jantuah, her co-Director, Carole Compayne, and women and science expert, Dr. Jan Peters, will share these experiences widely and provide role models for younger Black women through exploring the impact of multiple identities of senior BME women and how these have shaped and influenced their career directions. The stories of these women, gathered through discussions and interviews, will provide a resource for Black and other minority ethnic women as well as managers and HR professionals wanting to understand better the diversity of women working in Europe today. Pointing out that there have been many studies of women and their career progress in the workplace, but few have focused on ethnicity as a related dimension of difference, Compayne and her team see this work as specifically adding value to gaps within the current body of knowledge. Crucially, it will have an action oriented focus to ensure that there are practical recommendations to illustrate the value that Black women bring to the workplace. The study will not only improve the knowledge of the equality and diversity community of BME women’s experiences, it will also challenge the notion that BME women are doubly disadvantaged. By exploring the impact of multiple identities, the researchers will produce role model case studies for the next generation and help employers better understand a workforce that will increasingly contain Black and minority ethnic women at all levels. The research is intended to produce fifty case studies of women working in senior and middle management positions across a variety of sectors in Europe. A web based questionnaire and semi structured face to face interviews will be used to gather primary data. The preliminary findings will then be used as the basis for discussion dinners with smaller groups of women. A framework will be developed to consider the difference of experiences across European Union countries with a colonial history as a comparator to the US situation. A report and series of workshops will present an analysis of the data and be illustrated with the images and stories of the women who take part in the study. “We have returned nearly 20 professionals back to the Continent in various levels in our business - including board level Directors,” says John Patterson, Human Resources Director of Diageo Africa. During his tenure, Diageo Africa has appointed senior Africans to the Executive – making the Diageo Africa Executive a truly ‘African’ team. Diageo Africa produces, markets, and distributes alcohol, beverages and soft drinks across Sub-Saharan Africa. In his role, Patterson provides HR leadership to nearly 4,000 people in the Africa Business Unit, which comprises 20% of Diageo’s worldwide workforce, and produces sales of £750 million. Born and educated in the USA, John Patterson has been HR Director in Diageo since 2001, having previously worked for the company in roles in both North America and the UK. Speaking to ReConnect Africa, the head of Diageo’s African Human Resources function explains how Diageo Africa has moved beyond rhetoric to truly demonstrate diversity in Africa. RCA: In your first year as Human Resources Director for the Africa business, Diageo Africa was awarded Africa Investor’s ‘Employer of the Year’ for 2004 – an accomplishment for which both you and the business in Africa are justifiably very proud. Why has Diageo Africa put so much emphasis on the need to grow its African management talent? 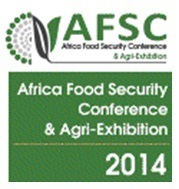 JP: We believe that there is a rich source of talent and capability on the African continent. That belief has been coupled with the belief that 'Talent attracts Talent'. Therefore, we have been able to meet the needs of our growing business with highly qualified Africans that give us the competitive advantage in the talent market place. RCA: What has Diageo Africa succeeded in accomplishing during your time as HR Director? JP: We have returned nearly 20 African professionals back to the Continent in various levels in our business - including board level Directors. Six out of the seven Managing Director Positions have gone to African talent. We have appointed five Africans - two Kenyans, two Nigerians, and one Zimbabwean - to the Diageo Africa Executive Committee. There were none three years ago. We have doubled the representation of our in-country African leaders - from 20% in 2004 to over 50% in 2006. Correspondingly, our dependence on Anglo Saxon (US/UK) expatriates has significantly reduced from 65 in 2004 to 23 today. RCA: How do you believe that companies in Africa can really compete for the best African talent globally? JP: Simple really.... offer people the chance to contribute at a significant level, develop them across African and international borders, and ensure that they are rewarded for their contributions. This is obvious, but the real key in it all comes down to the quality of our leadership. At Diageo, we have set clear standards for our leaders and hold them accountable for creating the conditions for people to be successful. 'How do you know if a colleague or team member from another culture is failing because of a cultural issue or simply because they do not have the necessary competence to manage a role? ' 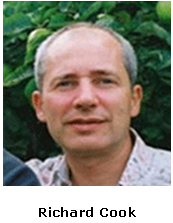 asks cultural management expert, Richard Cook. Within our own cultural environment we can usually manage to assess a situation and judge why a target isn't being met or a role being filled adequately. The feedback loop between the various parties is clear, open and, in most cases, everyone is using the same language as native speakers. When the same set of circumstances occurs between parties from different cultural backgrounds and in a virtual business environment then it is far less easy to make any assumptions about performance, communication or abilities. So what can we do to manage situations in which it is unclear if the issue is culture or competence? First of all what is really going on? What is the apparent issue or problem and how is it manifesting? Is it a case of missed deadlines, or poor productivity, or a lack of ownership of roles or tasks? Each business role and activity is performed in a culturally defined manner - wherever we are and each culture works to a set of values and priorities that can operate exclusively within that culture and which may be at variance with other cultures in the team or organisation. The second thing to consider is the power issue. Where exactly is the power to achieve results and movement to be found? Are you putting pressure on the right person to get the information or result that you want? In some cultures there is a high sense of individuality and people take on roles that clearly establish the power boundaries in which they can achieve specific results. In other cultures a much more collaborative culture exists and roles may overlap and many more people's approval and agreement may be required to move things forward. Thirdly, what is the quality of the communication like? If counterparts are all using English as second language then variable levels of English usage may be causing miscommunication between members. Get native speakers to slow down and reduce their use of idiomatic language. Arrange for language classes for other team members that need them. Make sure these language classes are highly tailored to the team or organisational needs - general English is no use here. Agree on a process to manage video conferencing and tele-conferencing that will ensure greater participation on non-native speakers. Once you have processed the situation in the above manner you should be in a better position to decide where the issue or problem is more about culture or is simply a case of poor competence. When you know that you can then determine a remedy to resolve the situation. Finally, working globally, as we are increasingly doing requires all of us to change so let's become clear about what we as individuals can do to make the whole process more transparent and accessible - regardless of the cultural background of the team.